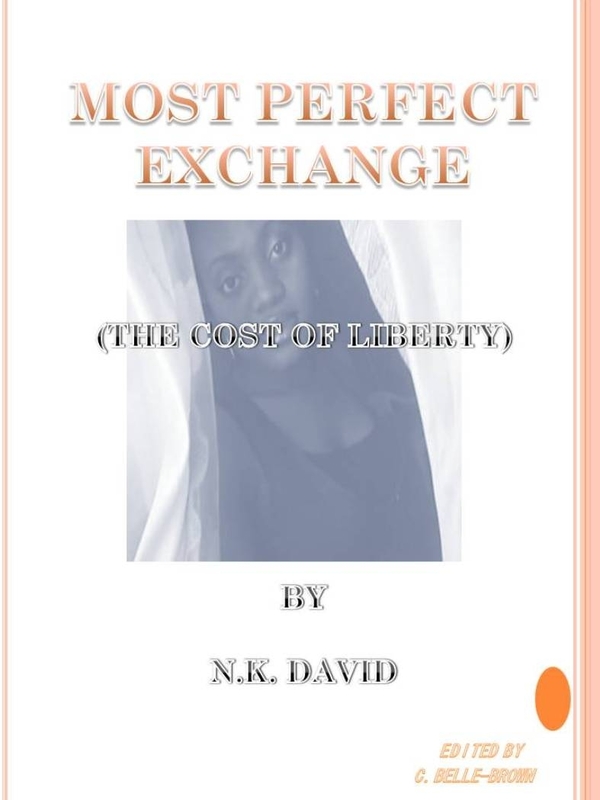 N. K. David is the author of two published novels, It Is Time We Truly Know Why “Jesus Wept” and Most Perfect Exchange (The Cost of Liberty). He has also written copiously about human rights abuse and religious tolerance. He believes it is a shame that men continue to be divided by their religion just as they were once divided by the color of their skin. 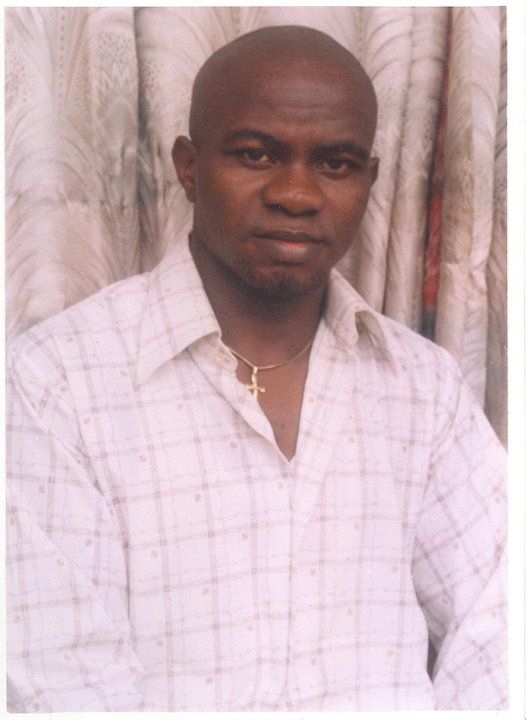 N. K. David: I was born on May 6th 1977 in the Eastern part of Nigeria, which is regarded as the Christian part of the country. At an early age, I wanted to study law/arts, but I ended up in science, which I have come to love, and I am currently in the medical field studying Veterinary medicine. I personally passed through a lot of struggles in my academic life because of a corrupt educational system. I had to stand and fight against the corrupt Educational system and I am glad some people in Government answered my call and worked to change the system. It was during the struggle and in my quest for answers from higher planes of existence that my first book was born and published to predict the end of the struggle and other message for humanity. Today I have published two books and still counting. When did the writing bug bite, and in what genres? N. K. David: I started writing back in college because of the challenge and need to do well in essay writing in school back then. After an early struggle, I realized that my failure then was because I did not use my creative ability so I set it to work, and since then it has been working. It was that early age that I created my first story, Noble Killers. I gave the story line to my young brother who was involved then in screenplay writing. He wrote it in his own way, but I later wrote it in my own way. That was the first time I spent much time writing a long story and book. I write mostly on inspirational, motivational, and emotional. But I also write religion, mystery, love, romance, and suspense. N. K. David: My goal is to contribute and say what I have to say to the world so that in future the world will remember that I was here and that I said or wrote such things. I also want to inspire and give people reasons to hold on in their positive struggle in life, especially those few that are working to help create a better and peaceful world for all of us because I am involve in such struggle which is a difficult task because of our diversity as humans. N. K. David: Yes my books always have a message in them, and I try to make it easy for people to understand. I try to make people understand the need for true religious tolerance and for people to look back in history and remember how we got here today because the truth is that we were liberated; if not, we would not enjoy the freedom we have today so there is need to let others have their freedom for as long as they do not stop us from having ours. But there is always a problem as people try to save others in this religious tangle, and other laws, traditions and cultures that need to be conserved. That is why some people are calling for the move to personal responsibility. N. K. David: My latest book is a story that started in 1967 in United States to the present 2012. It was the time racism was said to be dwindling in America but discrimination still persisted in various forms. Then Michael, a black American, found help and love which was not so common from Lydia, a white American. Lydia’s family was divided in their stand on racism and her brother, William, was racist so he tried stopping Lydia from assisting Michael. Then one day, Regina, a black America, suddenly showed up in their family company and William could not set his eyes off her. He wanted to assist Regina but this time his sister, Lydia, opposed the idea. William did not know why his sister changed so suddenly and things got worse for him when Regina disappeared. That was when he realized how much he loved her so he wanted her back at any cost, but the true identity of the lady he knew as Regina was another thing he may have to handle. N. K. David: How Lydia kept Michael in their family company even when William did not approve his employment. How do you develop character? Setting? N. K. David: How I develop my character and setting depends on the work; however, my recent work is based on what people already know or have an idea so I try to give readers what they can easily picture so I make characters real and settings based on past events or research to fit the records in history. Do you have specific techniques that help you maintain the course of the plot? N. K. David: Well before I start any book, I think of what I want to achieve or the message I want to send across readers so with that in mind my next task will be how to develop the story and send the message in clear terms. The task is always on developing events or things that will happen in between the book. Therefore, what I do is since I have my main message or how I think the story to end, I build other events around it and it is possible for new ideas to come in, and I have to see how it can fit into the story line and produce something thicker. N. K. David: I think it is left for the readers to confirm but I think my writings are always engaging and the messages are made clear and simply. I love to write in first person but I also used the third person. I commonly write in present continuous tense because I usual imagine writing the story while it is happening, but it is for scripts made for movies where the story will be narrated at some point. I normally change such format to third or first person if it is to be published. N. K. David: I will easily agree that my environment and upbringing made me who and what I am today. This is because I started asking question very early in life and I did not accept the answers my seniors gave to me so I had to find the answers myself. I grew up in a Christian home, but I realized that even as Christians we consider our own sect better than other Christian sects so I had to ask why and what is wrong with the various Christian sects? Then I realized that it is even worst when we consider the various religions. I could not hate someone simply because of his or her religion or because I think mine religion is better than others. I would not join the crowd and that is why I am what I am today. That is why it is not easy to find a life partner that understands or shares my kind of view in a developing country like ours. Share the best review or a portion that you have ever had. “In mankind’s quest for happiness, a lot of concepts have been devised and pursued- power and influence have been sought, acquired and abused, wealth has been amassed and abused as well, just name them. Astonishingly, happiness, which is the pinnacle of these endeavours, has remained elusive. However, the solution to this seemingly intractable problem is unimaginably the simplest thing anyone can do as is presented by N. K. David in this thought-provoking, great concept and irresistible novel, which doubles as an indispensable guide and a clarion call for all ( skin colour notwithstanding) to endeavour to acquire the hitherto elusive happiness and its attendant peace, by deleting from our minds, records and altitude all factors of hate and racism, and replace them with genuine love and understanding. “After he discovered the formula for reincarnation (rebirth), he realized that it could be more dangerous than nuclear weapon so he decided to stop the research but some of his co-workers strongly wanted such powers and they can do anything to get it, even if it means to kill him for it. The only option he had was to stay alive even if he was dead because for as long as he is alive they will continue the plot to kill him and that maybe the only way he can protect his family, and the formula.” The formula is combination of various scientific formulas built on trinity and the right application of the formula can be used to prove, even to a profane, that rebirth is really, but first the centre of the triangle must be sought and found. N. K. David: My books are available on many online stores like booktango.com It Is Time We Truly Know Why “Jesus Wept” and Most Pefect Exchange (The Cosct of Liberty), authorhouse.com, Amazon, among others. I am on many social sites like Facebook Page, twitter, linkedin, talent.me, David Kaluge hubpage , muttonline.com among many others. I welcome friendship and I love making good friends so people easily join me on facebook where I usually create my events and have my book pages or through hubpages where I post free articles. 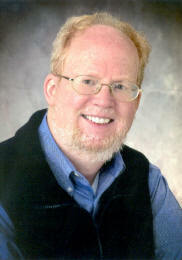 Warren Bull has won a number of awards including Best Short Story of 2006 from the Missouri Writers’ Guild, Great Manhattan Mystery Conclave short story contest, The Mysterious Photo Contest in Alfred Hitchcock’s Mystery Magazine, and Best short story in Strange Mysteries Anthology. 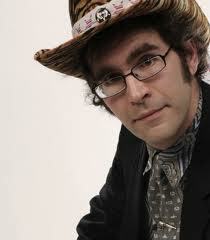 He was a finalist for the Young Adult Discovery Award and a Derringer Award. He has more than forty short stories published, novels Abraham Lincoln for the Defense, Heartland and Murder in the Moonlight, and a short story collection, Murder Manhattan Style. Please tell everyone a bit about yourself, Warren. Warren: I spent my childhood in Rock Island, Illinois, which is along the Mississippi river. I attended Knox College, where one of the Lincoln – Douglas debates took place, and the University of Illinois. My graduate training was at the University of North Carolina, Chapel Hill and what is now Alliant University in Fresno, California. I was first licensed as a psychologist in 1983, and have worked for agencies and in private practice with people of all ages as a therapist and as an administrator. I worked as a clinical psychologist for more than twenty-five years but still claim to come from a functional family. I blog at Writers Who Kill. I’m a lifetime member of Sisters in Crime and an active member of Mystery Writers of America. Warren: I had a very good writing teacher in the fourth grade and I’ve been writing ever since. My mother used to read letters I sent her from college to the neighbors, which I discovered to my deep embarrassment during my first visit home from the holidays. As a psychologist, I shared an office with Casey Dorman who wrote e-novels long before they became popular. Casey’s an excellent writer and a good guy, but I thought if he could do it so could I. I write mostly mysteries because I enjoy mysteries and I’ve written essays, memoirs, general or “literary” fiction, historical fiction and fantasy. When you started to write what goals did you want to accomplish? Is there a message you want readers to grasp? Warren: Good question. My initial goal was to get published. Once I got published, my goals evolved and they continue to evolve over time. I’m not very interested in “solve the puzzle” mysteries. I like to read and write about characters in a variety of setting facing life challenges. I’d like readers to identify with my characters and share their experiences. I’ve written about Abraham Lincoln as a great man who is flawed and fully human. Warren: Heartland available at Avignon Press is a Young Adult novel recently chosen as the Book of the Day by Killer Nashville. The paperback edition is available at the link above. Please support the publisher who supported me. Sixteen-year-old Tom Allen life is imploding. His father has all but vanished from his life; Tom’s stepfather is entirely too involved. Tom’s beloved grandmother suffers a stroke, which leaves his mother emotionally distant. Meanwhile his sister is too sophisticated to worry about his concern. When Tom reads an old family memoir from his grandmother’s cedar chest, he becomes intrigued by his ancestors’ struggle to form one united family from two shattered families. They face man-made and natural dangers while they battle to survive the smoldering conflicts in “Bleeding Kansas” that will soon erupt into the bloodiest war in American history — the Civil War. With the help of friends and family, past and present Tom eventually comes to terms with the pain and possibilities of his own family. Warren: When the two riders appeared out of nowhere, I knew they came to kill my pa.
How do you develop characters? Settings? Warren: With historical stories and novels research is essential. There are readers who know all about things like shooting a black power rifle or men’s trousers in the 1840s so if I refer to “cordite” before it was invented or write about a man putting something into his non-existent rear pants pocket, I am going to make readers angry They are going to throw my book against the wall and never buy anything else from me again. I like to have three independent sources for everything. Who is the most unusual character? Warren: I have a number of characters who keep popping up in my work because they keep popping up in my head. One of them has been in half a dozen short stories in various venues but he never gives his name. I know it but he wants to keep a low profile. I don’t know that anyone except me knows how often I write about him. He is a veteran of World War II who fought in the battle of the bulge, like my father. He has a post-traumatic stress disorder and a deep – set distrust of authority. Do you have specific techniques that help you maintain the main course of the plot? Warren: I use a timeline and a list of characters. I also make a few notes of events that I want to use. Every time I try to use an outline I get bored with the story before I get the novel written. I wish I could use an outline but I can’t. Warren: I worked as a psychologist for more than twenty-five years, which gave me the opportunity to know and work with a wide variety of people I would probably never have met otherwise. I worked with people of all ages, ethnic backgrounds, religions and social classes. My clients had many unusual life experiences. Also, although I am a male Caucasian, I have lived and worked in settings where my ethnicity and gender made me a minority. Warren: I am working on two very different projects at the moment. I am waiting for copyediting on a short story collection of very dark stories tentatively titled, No Happy Endings, and I am about 1/3 of the way into a middle grade novel about the adventures and misadventures of three sisters whose mom has run off with a rock bank. I am busily researching television schedules, mimeographs and dial telephones in the early 1960s. Thank you for joining us today, Warren. Warren: Thanks for the opportunity. Paul Juser lives on the road. His life-long dream is to be the first Nobel Prize winner to pen a “Friday the 13th” film. Hi Paul, please tell everyone a little about yourself. Paul: I chose to pursue writing in the 4th grade, and have never lost sight of the goal, except for a few errant aspirations to be a marine biologist. My only dream prior was to be a paleontologist. Unfortunately the job isn’t nearly as exciting as either of the first two Jurassic Parks. Paul: I was always turned on by the way Bret Easton Ellis would bring the same characters back in each novel. Pat Bateman was popping in long before he was a vicious murderer, and who would think drug-addled Victor Ward could become a terrorist? Jack Kerouac did the same thing, but changed all the names between books. I recycle my characters the same way. Each story is one long timeline with a general continuity, but each is a stand-alone story. I’m hoping to finish my next novel, The Alarm Clock at the End of the World to release in 2013, as long as the Mayans were wrong. Paul: I usually have the idea mulling in my head for a while. Eventually a scene will be formed enough for a jumping-off point to start writing. That scene usually becomes the start, or near the beginning, even if I envisioned it near the end. Characters start as sketches and become fleshed out as I revise. I give them speech patterns and mannerisms, and build a backstory that makes them active devices in the plot. Settings need to be just as much of a character as anyone moving around and speaking lines. If a writer is drawing a reader’s attention to a detail, that detail should be important. Paul: Dr. Filth is a superhero with the power to convince himself anything. He’s been an insurance salesman, a card-carrying crime-fighter, and a cryptozoologist. In The Alarm Clock at the End of the World, he uncovers a global conspiracy to hijack religion. Dr. Filth is about fifty pounds overweight and has filthy, stinking dreadlocks. Paul: I usually write out the main body of the story from beginning to end, and then comb backward to make sure everything lines up. The initial writing process could take a couple days with a short story, or a month for a script. Then I revise. That’s the dirtiest word in a writer’s vocabulary, and I don’t find many have the stomach for it these days. Alarm Clock first went to paper seven years ago, and some parts are older. Salvation Shark was at least eleven before it started on Laugh at Yourself First. Paul: I hear the words in my head, and I try to emulate what they sound like. Sometimes it’s serious, but most often it sounds like Kurt Vonnegut. I don’t like 1st person POV, but Dollars Per, Salvation Shark, and Alarm Clock are all First Person Shooters. It made sense in Salvation Shark, but in the others it was just lazy writing. I once thought about rewriting Alarm Clock from a 3rd person narrative, but eventually decided it was too big an undertaking. When readers get the story in hand, it will be the inferior 1st Person form, so you know Dr. Filth’s every disgusting thought. Paul: If you watch the old Twilight Zone episodes, again and again you see scenes from the city where I live. Even in the Fifties, Rod Serling could see the strange energy in this place. I grew up reading Lovecraft, listening to Slayer, and watching endless horror movies. My grandfather was a chemist, and I was encouraged to learn science like other kids memorized Bible verse. I’m awful with Math, so I never enjoyed chemistry, but animal life and geological history remained important for life. Even when I’m writing on more serious subjects, I can see these same sensibilities bleeding through. Paul: I’m putting together my first photography show. It’s a short story from Laugh at Yourself First, “The Disappearance of Cotton Mayweather,” about a man that finds an abandoned city off the highway. While he sees no people, there are signs all around of recent occupation. Part 1 is showing in April at the ART Mission Theater, and Part 2 in May. The short story appeared on Laugh at Yourself First in 2009. Paul: Where can folks learn more about your books and events? www.printisbetter.com has Laugh at Yourself First, and links to all my printed books. Periodically I give away books and other promotional material, and details can be found there as well.